Picture Beatlemania as it erupted in the United States in February 1964: Teenage girls screaming at four young “mop-top” musicians performing melodic love songs. Two years later, the girls still were screaming. But John Lennon, Paul McCartney, George Harrison and Richard Starkey had been transformed far, far beyond the cartoonish – yes, there actually was a Beatles animated series – portrayal of the Fab Four phenoms. 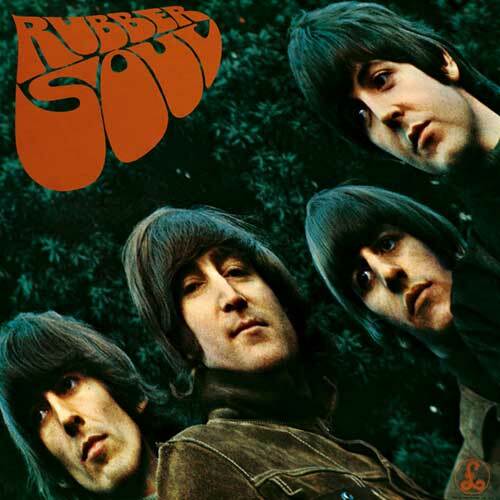 The release of “Rubber Soul” in late 1965 demonstrated how far the band had progressed musically, the lyrical simplicity of previous songs supplanted by a newfound complexity, particularly on Lennon’s material. Under the guidance of producer George Martin, the Beatles were able to translate their musical aspirations to vinyl. “Revolver” is a groundbreaking statement in that it opened up a whole new realm of possibilities as to how a popular band could present itself to its audience. Stylistically, lyrically and sonically, the album represents a major step in formulating what we now know as classic rock. Proceedings began on April 6, 1966, when the band started work on a new composition by Lennon that carried the working title of “Mark I.” After experiencing a bad LSD trip the first time he tried LSD, unwittingly dosed by his dentist, John decided to try the drug on better terms, using Dr. Timothy Leary’s writings as a guide. That did the trick. “Mark I” apparently represents Lennon’s sonic conversion of an acid trip, evoking Leary’s words to a backdrop of tape loops, many of them running in reverse. In an attempt to add to the sense of otherworldliness, he suggested that he should be suspended from a rope to spin around as he delivered his vocal. Nineteen-year-old engineer Geoff Emerick came up with the more practical solution of Lennon singing into a Leslie revolving speaker, which he hijacked from an organ. In the original version of “Mark I,” as released three decades later on “Anthology 2,” Lennon’s vocal is thin and tinny, described by Beatles historian Mark Lewisohn as sounding like it was coming from the cheapest of transistor radios. By the time the song was completed as “Tomorrow Never Knows,” the voice transmission is much higher fidelity, if hardly conventional. Although the Beatles started work first on “Tomorrow Never Knows,” it is the final track on “Revolver,” which contains 14 tracks on its British version. Unfortunately, Capitol Records still was playing games with Beatles records as of 1966, and the American release contains only 11 songs, clocking in at well under half an hour. And you’re working for no-one but me! If Harrison’s attack on the tax structure was revolutionary for 1966, the song that follows it on “Revolver” is no less. “Eleanor Rigby,” of course, is McCartney’s nihilistic vignette set to a string quartet, ruminating on “all the lonely people” and, by extension, on organized religion: “No one was saved.” Many other artists covered “Eleanor Rigby” in various forms, including the overtly psychedelicized Vanilla Fudge version. But the Beatles’ original arrangement – the strings, Paul’s plaintive vocal, John and George backing him on the chorus – remains the strongest. Harrison returns with “Love You To,” the first of his three sitar-dominated compositions for the Beatles and probably the strongest one. Again, he expresses the cynicism of his worldview – “There’s people standing ’round/Who screw you in the ground/They’ll fill you in with all their sins you’ll see” – but this time he’s able to steer matters in the right direction with the love of his woman. Speaking of hits, they don’t have much more staying power than “Yellow Submarine,” written by Lennon for Ringo’s vocal contribution to the album. The fanciful journey in what very well may be a barbiturate has been sung by children for a couple of generations now, enjoying the nonsense of claiming, “We all live in a yellow submarine!” Of note in the actual recording are the various nautical sound effects, which help keep the track sounding somewhat fresh as it plods along. “She Said She Said” is another acid-influenced Lennon composition, this time based on a conversation he had with Peter Fonda when both were tripping. One drawback of the U.S. “Revolver” is that only this track and “Tomorrow Never Knows” were present to represent John’s work. Lennon’s “And Your Bird Can Sing” features an exceptional guitar line, with Harrison playing his 12-string Rickenbacker and McCartney adding support. The lyrics are rather cryptic, but one entirely plausible suggestions is that they refer to Mick Jagger’s then-girlfriend (“bird”) Marianne Faithfull, who had scored a couple of mid-’60s pop hits despite a lack of prior performing experience. “For No One” shows McCartney taking the opposite approach of “Good Day Sunshine” with a melancholy statement on the breakup of “a love that should have lasted years.” Given full credit on the album cover for his French horn playing was Alan Civil (1929-89), principal hornist of the BBC Symphony Orchestra until his retirement in 1988. McCartney does his best Motown impression on “Got to Get You Into My Life,” which became a hit U.S. single in 1976 after being re-released on Capitol’s “Rock ‘n’ Roll Music” compilation. The song shows the Beatles as maintaining their strong R&B roots in the midst of their transformation to psychedelia. The release of “Revolver” in August 1966 coincided with the start of a short tour, which wrapped up with a performance at San Francisco’s Candlestick Park on Aug. 29. No songs from the new album were included, of course, as the band ripped through their usual Fab Four-type set, most of the sound drowned in screams. And that, of course, was that.